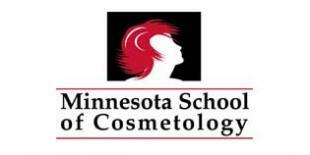 At Minnesota School of Cosmetology, we are not just a cosmetology school. We are so much more! It’s our goal to successfully prepare our students for a career in cosmetology or massage therapy. Our industry-experienced instructors provide hands-on training in massage, basic and advanced hair, skin and nail techniques in an engaging, warm and professional salon and spa-like setting. We are your local school of beauty and wellness. Students are able to advance their skills by providing quality services to clients throughout the Twin Cities at one of its two locations in the St. Paul suburb of Woodbury and in Plymouth, just to the west of Minneapolis. Minnesota School of Cosmetology is accredited by the National Accrediting Commission of Career Arts & Sciences, Inc., and offers a cosmetology diploma and a massage therapy certificate. Cosmetology is both an art and a science fueled by passion and a desire to help others. At Minnesota School of Cosmetology, we are dedicated to helping our students develop a solid foundation and a flair for style through hands-on training in basic and advanced industry techniques. You will learn how to cut, color and style hair, give manicures and pedicures, provide spa treatments and perform various skin care techniques from industry-experienced instructors in a professional salon setting. We keep our class sizes small to make sure you get the individualized instruction you need and attention you deserve. You will graduate with everything you need to be a versatile artist in an exciting industry, including a cosmetology diploma from a respected college. At MSC, you will have the opportunity to put your skills to use on our busy clinic floor working with diverse clientele who have a variety of hair types and styles. You’ll graduate with the valuable real-world experience you need for a successful career. Our program is designed as a holistic program that will prepare students to focus on body mechanics of their clients as well as develop positive habits for the therapist. Together, those two areas will provide a foundation that can lead to longevity in the career field. This holistic approach also prepares students to assess and communicate the client’s concerns and needs. Students will learn to develop a therapeutic treatment plan that will benefit their clients. In addition to learning about the various massage techniques, this program will educate students in the areas of Anatomy and Physiology, Kinesiology, and Business. Students will gain a fundamental understanding of how the body works as well as how to manage and grow their personal massage business. The goal is to not only teach someone how to provide a massage but to give them an understanding of why massage is important and how it impacts a client’s overall health.